A cool friend said that “Married is the new single” and you can’t help but believe him. 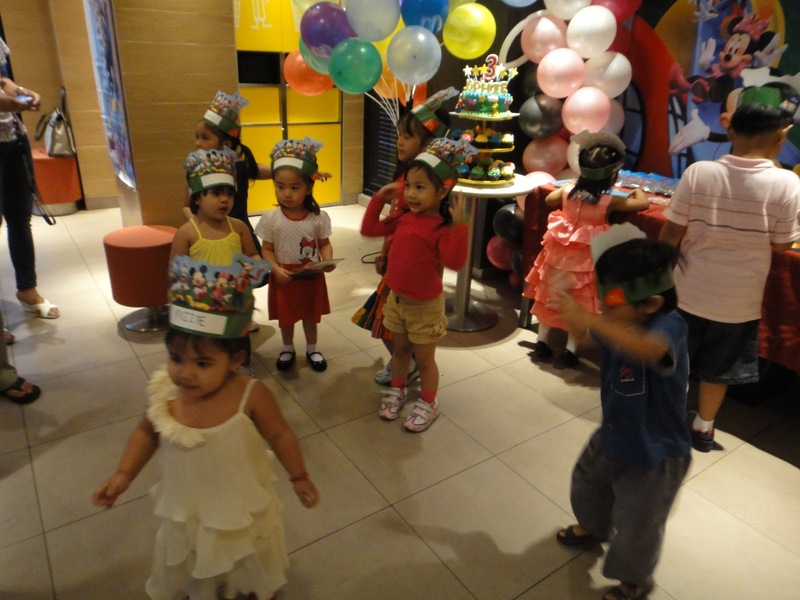 In my case, “Kiddie parties are the new gimmicks” (if gimmick is the fitting term). 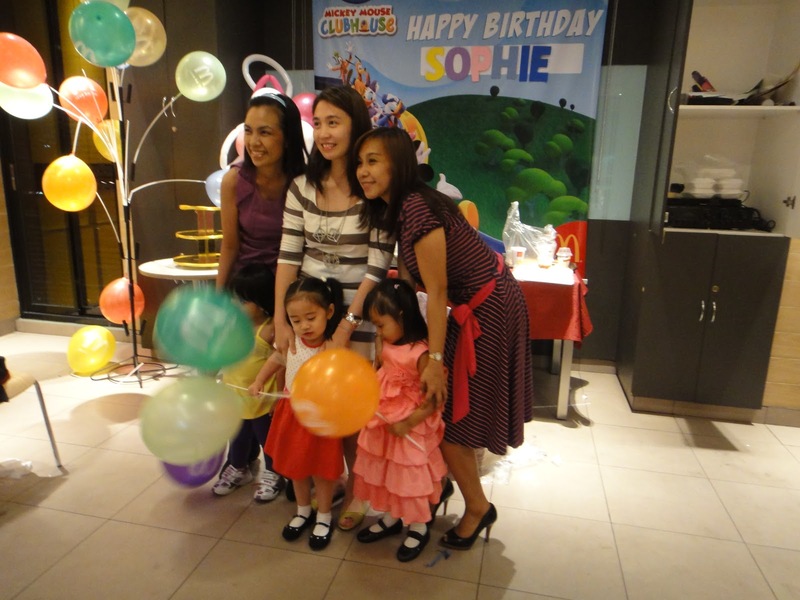 My mommy friends and I get to see each other whenever our little ones celebrate their birthdays. It’s funny how having kids make you connect to old and then make new friends. 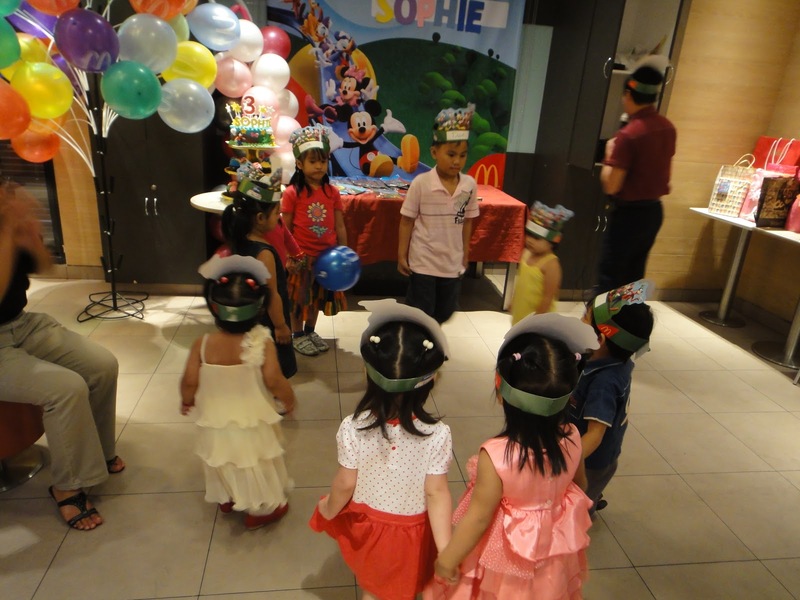 Last weekend we went to Sophie’s party at Mcdonalds. 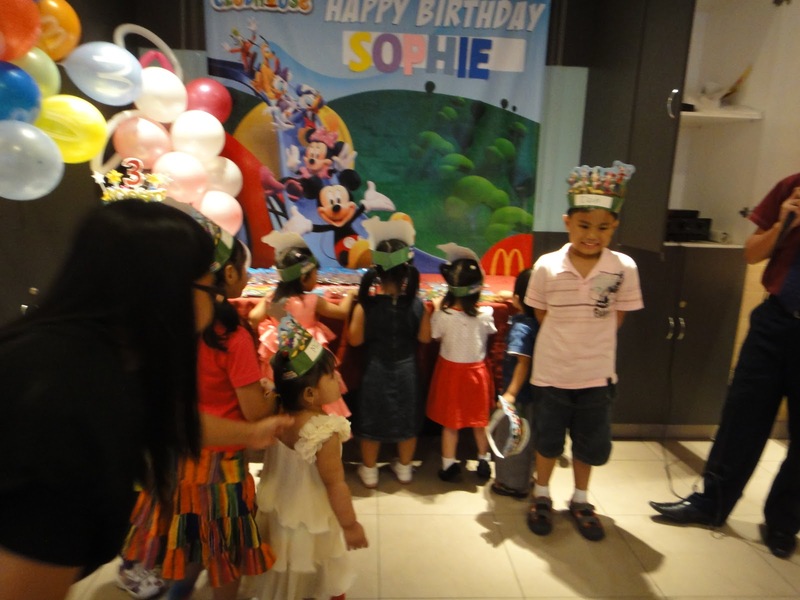 Her theme was the Mickey Mouse Clubhouse gang and of course Iya wore her Minnie mouse dress. She enjoyed the giveaways and loved the balloons (we took 5 of them oops!). It also gave me the chance to bond with Roan and talk about our families. Choosing what giveaway she wanted. I had a hard time extracting her from the table because she immediately saw the board game and wants to play with it. Pass the balloon game. She’s always so excited whenever there is a game with balloons! 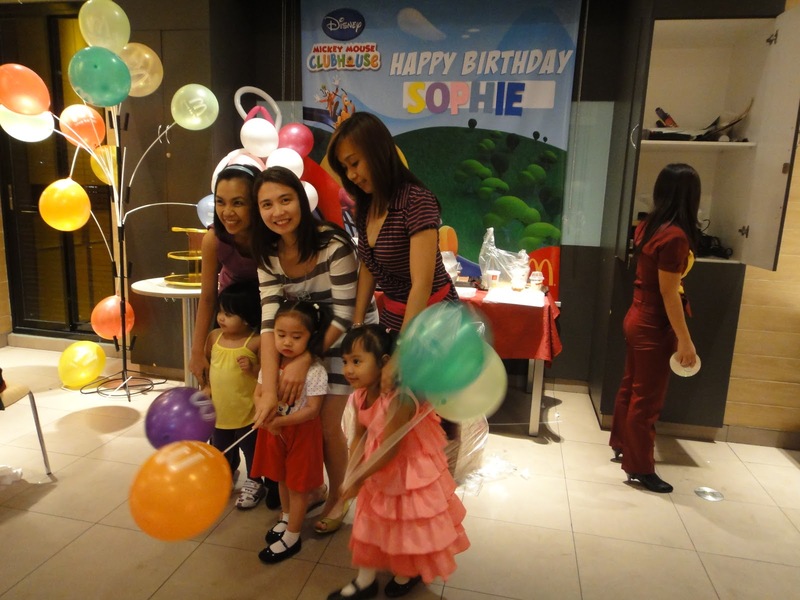 Like the time when she attended Xian’s 2nd birthday where she insisted to play. She puts the balloon between her knees, even if it’s too big, then hopped like crazy without moving an inch! I was so busy laughing that I was not able to get a video! How come I’m the only one looking? Roan and Xian, Julia and I, She and Sophie, smiling for Roan’s camera. The following day was Daddy’s birthday so we had a little pizza celebration at home. 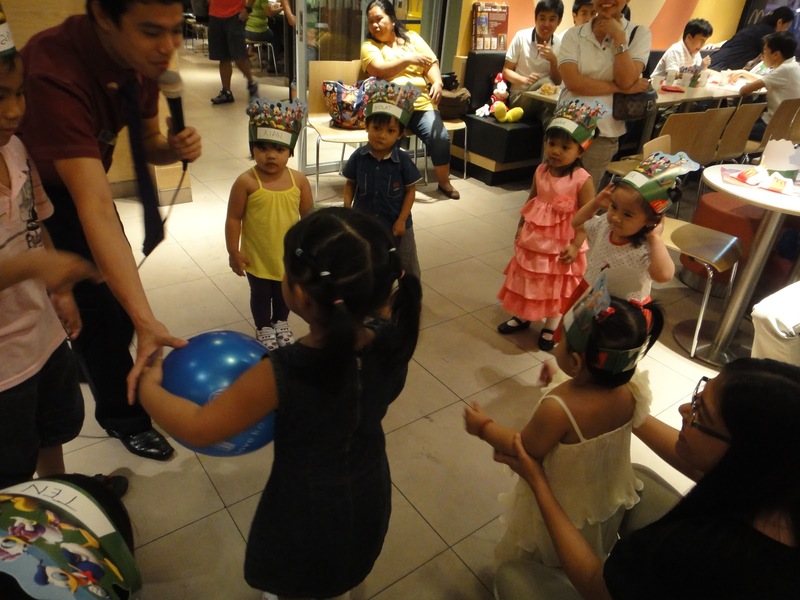 Iya gave his lolo a balloon from Sophie’s birthday and a paper van that I made. I am still waiting for Henry’s video and pictures and will upload soon. Things you should know about Iya..